Your family is your world. That’s why providing compassionate quality care means the world to us. Morris Hospital Ottawa Campus is located at 1306 Gemini Circle, Suite 1, in Ottawa. Services include family medicine, pediatrics and laboratory services. Please continue reading for detailed information regarding each of our Ottawa Campus services and providers. Or, give us a call at 815.433.9200. *Laboratory is only service available Saturdays. As a board-certified family medicine physician, Dr. Paulo A. Aranas provides care for patients ages newborn through adult. His range of care includes preventive medicine, routine checkups and physicals, well-child and sick pediatric care, acute and chronic disease management, sports medicine, women’s health care, immunizations, and diagnosis and treatment of various health concerns. He has specific interest in obesity, diabetes, hypertension, sports medicine and preventive care. 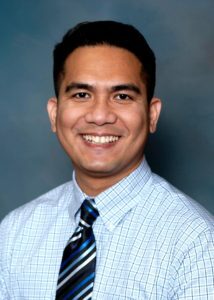 Dr. Aranas received his medical degree from the University of the Phillippines – College of Medicine and completed a family medicine residency at North Shore – LIJ Health System at Glen Cove Hospital in Glen Cove, N.Y. Prior to joining Morris Hospital, Dr. Aranas practiced for four years as a family medicine physician in the Herscher-Kankakee area. Dr. Aranas has been surrounded by medical professionals his whole life, including his father who was a dentist, his maternal grandfather who was a radiologist, and now his wife who is also a doctor. Dr. Aranas is committed to being caring, sincere and empathetic to all of his patients at all times. His goal is to instill trust and work toward making sure every patient has a satisfying experience. To schedule an appointment with Dr. Aranas, call 815.433.9200. 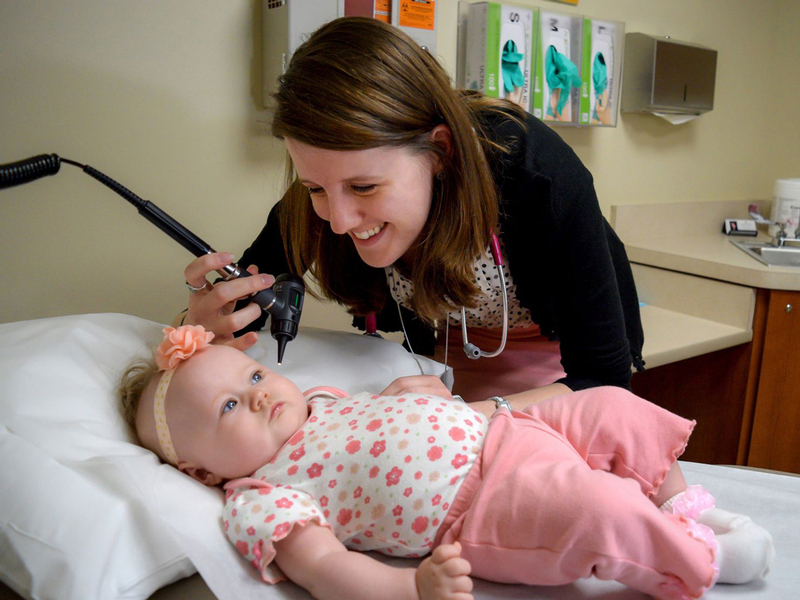 As a pediatrician, Dr. Melissa Hill cares for patients ages newborn through 17. Her focus is preventive care and management of health in infants, children and teens, including illness management, nutritional counseling, immunizations, and physical fitness. Dr. Hill has a special interest in growth and development, breastfeeding, illness and accident prevention, and foster care. Dr. Hill received her medical degree from Ross University’s School of Medicine, Dominica, West Indies. 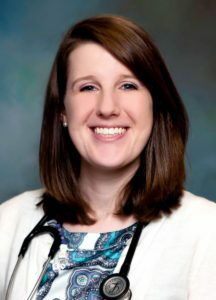 She completed a pediatrics residency at the University of Illinois College of Medicine in Peoria, Ill. Dr. Hill is certified in Pediatric Advanced Life Support and Neonatal Resuscitation. She is a member of the American Academy of Pediatrics. She is board certified in pediatrics by the American Board of Pediatrics. Having grown up in Yorkville, Ill., Dr. Hill is an area native who enjoys investing in her community. She has always loved children and her desire to become a physician started as early as the age of 12. Dr. Hill believes in the power of family to nurture healthy children. She is dedicated to working with the parents of her patients to provide optimal and compassionate care. To schedule an appointment with Dr. Hill, please call 815.433.9200. Monday: 10 a.m. – 7 p.m.; Wednesday: 8 a.m. – 5 p.m.; Thursday: 8 a.m. – 5 p.m.; Friday: 8 a.m. – 5 p.m.
A board-certified family medicine physician, Dr. Hassnain Syed has served on the Morris Hospital Medical Staff since 2010. He provides care for patients of all ages, newborn through adult. He is trained to provide preventive care, routine checkups, health risk assessments, immunizations, screenings and school/sports physicals. He has specific interest in diabetes, hypertension, addiction medicine, female health, pediatrics and wound care. Dr. Syed received his medical degree from the Allama Iqbal Medical College in Pakistan. He completed an internship at Jinnah Hospital in Pakistan and a family medicine residency at Jackson Park Hospital in Chicago. Dr. Syed is a member of the American Medical Association and the American Academy of Family Physicians. 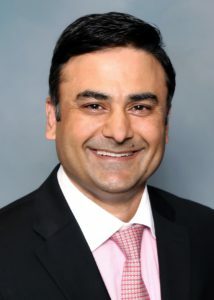 Dr. Syed also see patients at the Minooka Healthcare Center of Morris Hospital on Mondamin Street. 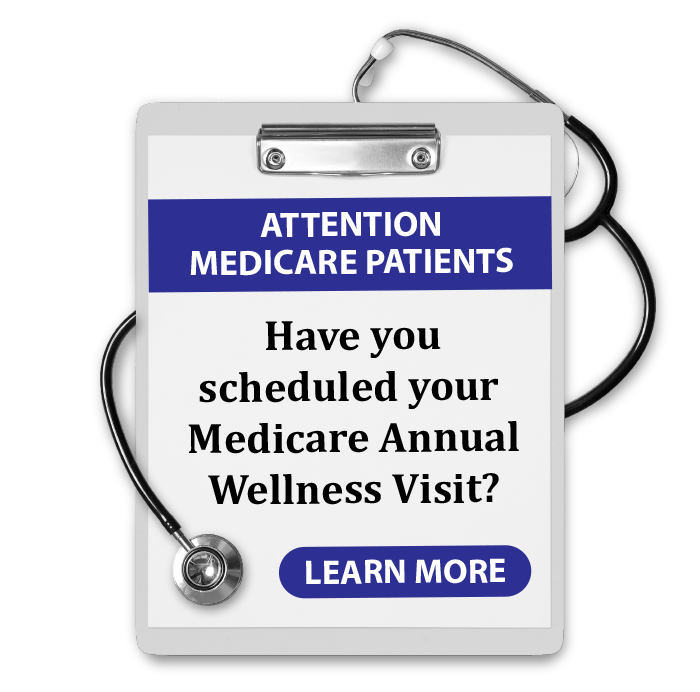 To schedule an appointment, call 815.433.9200 (Ottawa) or 815.521.1010 (Minooka). Tuesday: 10 a.m.-4 p.m.; Thursday: 9:30 a.m.-2 p.m.
As a family nurse practitioner, Angela Todd is qualified to serve as the primary healthcare provider for patients ranging in age from newborn to seniors. She holds a Family Nurse Practitioner Certificate, allowing her to diagnose and treat both acute and chronic health conditions. She is also able to order and interpret diagnostic tests and prescribe medications. Angela has a passion for working with pediatric patients as well as practicing women’s health. 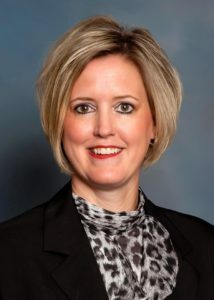 Angela received her bachelor’s degree and master’s degree in nursing from the University of St. Francis in Joliet, Ill. She has more than 13 years of experience as a registered nurse in the Morris Hospital Emergency Department. She is certified in advanced cardiac life support, pediatric advanced life support and basic life support. Angela believes in encompassing the holistic needs of every patient with an individualized plan of care. She is dedicated to instilling trust and compassion while striving to provide optimal outcomes and culturally sensitive care. Angela also sees patients at the Minooka Healthcare Center of Morris Hospital on Mondamin Street. To schedule an appointment, call 815.433.9200 (Ottawa) or 815.521.1010 (Minooka). Monday: 9:30 a.m.-12 p.m.; Wednesday: 9:30 a.m.-2 p.m.; Friday: 9 a.m.-3:30 p.m. The Morris Hospital Ottawa Campus includes a laboratory draw site, which is a convenient option for blood work. We accept orders from any physician. Specimens collected in the Ottawa laboratory are processed in the Morris Hospital Laboratory with timely results sent to your physician. The Laboratory at Morris Hospital & Healthcare Centers is accredited by the Accreditation Committee of the College of American Pathologists (CAP). Being CAP accredited is like a gold seal of approval that indicates the Laboratory has achieved the highest standards of excellence and is committed to positively impacting patient care. Monday – Friday: 6 a.m.-2 p.m.
Saturdays: 6 a.m. – 12 p.m.
Closed on Sundays. Walk-ins are welcome during laboratory hours. Laboratory testing is closed on New Year’s Day, Memorial Day, 4th of July, Labor Day, Thanksgiving and Christmas. Laboratory testing is open until 2 p.m. on Christmas Eve and New Year’s Eve. Holiday hours are subject to change. The Morris Hospital Ottawa Campus, 1306 Gemini Circle, offers blood/laboratory health screenings on weekdays, from 8 a.m.-2 p.m. Walk-ins accepted. Appointments preferred. Easy-to-understand results available within one week. Payment of cash or check only for the health screenings is required at the time of service. Dr. Syed Ahmed, Dr. Mary Gordon, Dr. Muhammad Marwali and Dr. Athar Saeed with Morris Hospital Cardiovascular Specialists are excellent health care resources in the Ottawa area for individuals seeking consultation with a cardiologist. As board-certified cardiologists, Dr. Ahmed, Dr. Gordon, Dr. Marwali and Dr. Saeed and specialize in the prevention, diagnosis and treatment of heart disease, high blood pressure, heart failure, circulatory problems of the lower extremity and abnormal cholesterol. Mondays: 8 a.m. – 4:30 p.m.
Tuesdays: 8 a.m. – 4:30 p.m.
Wednesdays: 8 a.m. – 4:30 p.m.
For more information, visit the Morris Hospital Cardiovascular Specialists’ webpage. Dr. Victoria Ochoa and Dr. Douglas Toussaint from Morris Hospital Obstetrics & Gynecology Specialists are excellent health care resources for women at all stages of life. They specialize in pregnancy, labor and postpartum care; normal and high-risk pregnancies; family planning counseling; all birth control options; diagnosis and treatment of female reproductive system disorders; minimally invasive female surgeries; hysteroscopy and endometrial ablation outpatient treatments for heavy menses; and treatment for stress urinary incontinence or urge incontinence. For more information, visit the Morris Hospital Obstetrics & Gynecology Specialists’ webpage.